Whether advice, oversize, delivery or assembly service - with us you can feel about carefree. We take everything for you in the hand. We carry out personally all service work in the whole Federal Republic and all surrounding countries (Belgium, Denmark, France, Luxembourg, Netherlands, Austria, Poland, Switzerland, Czech Republic). Of course, there is the possibility for you to pick up your orders directly from us at the factory. Whether worktops made of granite, Caesarstone, ceramics, Silestone, slate or simply cleaning agents, we also deliver your order in Germany and to the neighboring countries, such as. Switzerland and Austria, right to your door. 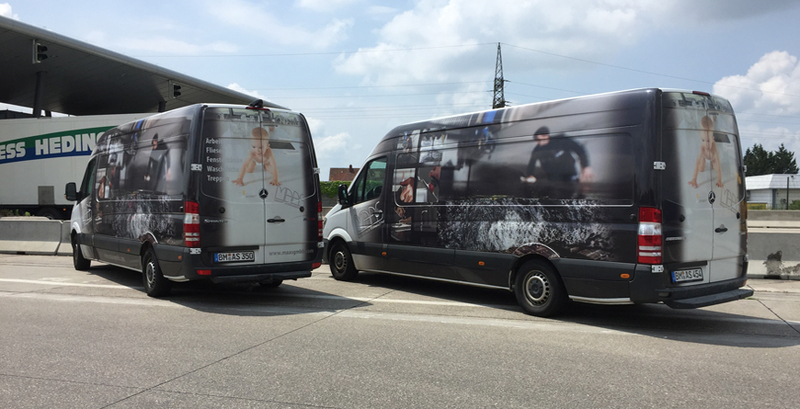 Delivery Germany - We deliver your new kitchen worktop whenever you want. And on time to the agreed date. Customers can also count on optimum service quality during delivery. Regardless of the size and volume of your order, we deliver with our own vehicles. Although we can ship the goods to a foreign carrier, but in this case, the risk passes to the buyer as soon as the goods have left our warehouse. We prefer the delivery with our own vehicles, because we have made a lot of negative experiences with the foreign forwarders - Only 70% of the goods arrived safely at our customers! That's why we do not want to take this risk and trust our trained stone masons during transport. Before each delivery, our customers are contacted by our staff again, so that the delivery date can be really reliably confirmed and timed with the customer.n. We send the samples by post.